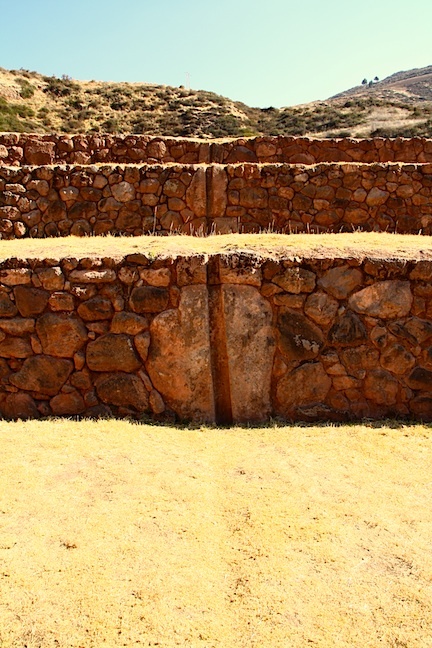 Cusco: It might not look like much, but this unique earthwork is perhaps South America’s most important scientific experiment. 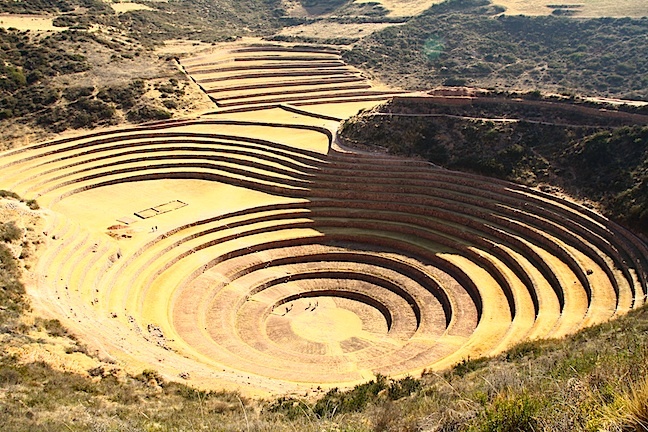 The Andean civilisations may owe their existence to four sculpted depressions in the land, about an hour’s drive from Cusco. 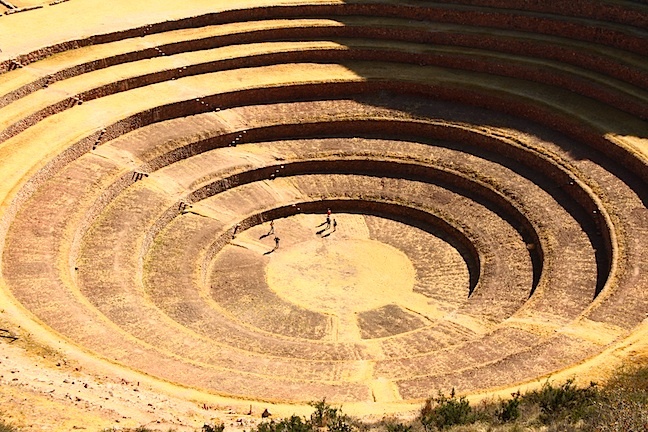 Called the Moray, these regularly terraced areas, which descend in concentric circles of carefully built stonework, are agricultural breeding and test laboratories. They were built more than a millennium ago by people who took advantage of natural dips in the landscape here to experiment with different temperature and altitude conditions. The temperature difference between the bottom-most level and the top can be as much as 15C degrees – about the difference between the average yearly temperatures of London and Mumbai. It allowed farmers to try growing plants in different conditions, so that Amazonian crops strains adapted to altiplano conditions could be produced at the site, which is around 3500 metres up. That's me, walking through the bottom level. In the summer, the whole system is green. 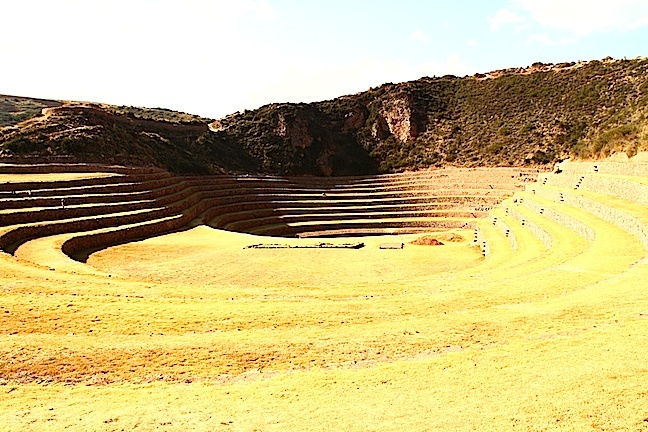 Complex irrigation systems supply water to the site, and the rocks beneath the soil are full of holes and tunnels that allow water to drain quickly, preventing the lower levels from flooding. 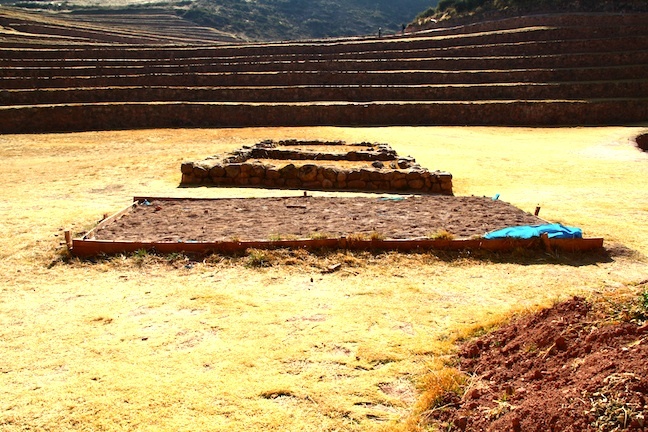 It is thought that it was work at the Moray that led to the transformation of maize into a high-altitude crop, which was key for the great Andean civilisations of the Tiwanaku and Incas. 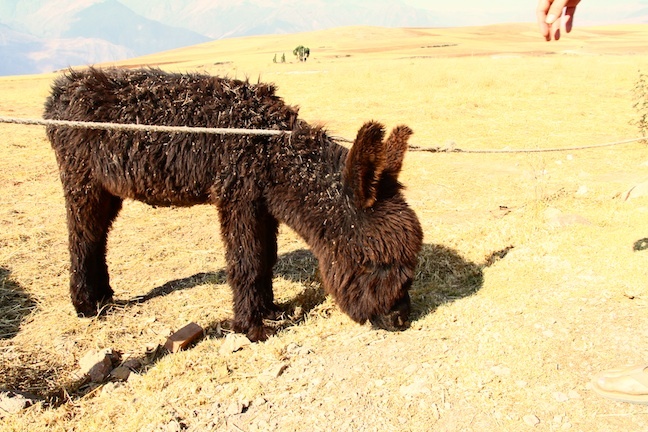 Other crops such as potatoes or quinoa could not have sustained large populations without Andean maize. The Incas added to the project, building further horseshoe terracing higher up. 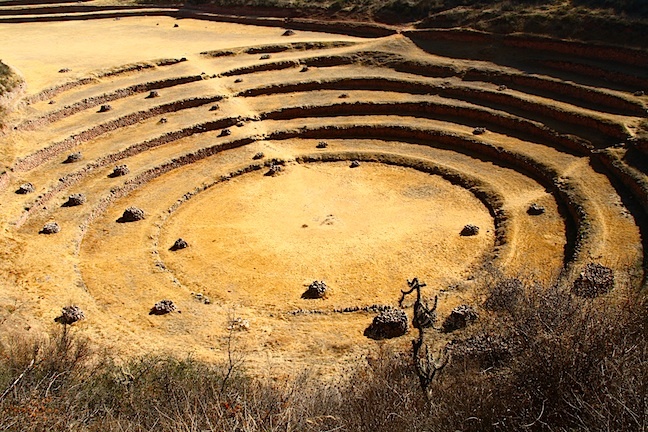 It is thought that they used the Moray to develop coca species that grow higher up and in colder conditions, to give themselves ‘coca security’ at a time when their precious commodity was controlled by Amazonian enemy tribes. Experimentation like this helped people to adapt to changing climatic conditions from El Niño to droughts. 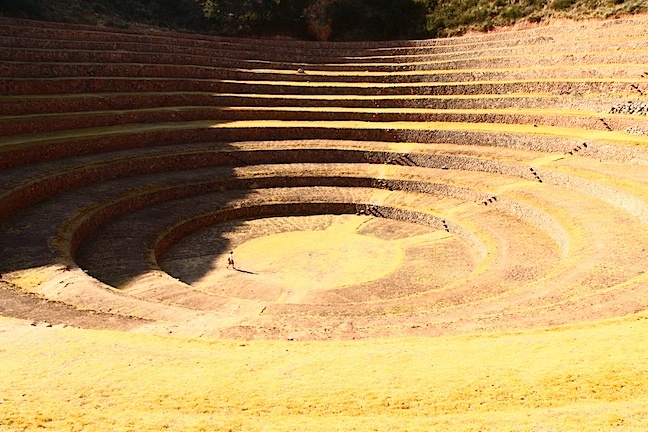 Locals refer to the Moray as ‘the greenhouses’ and its influence is felt in the complex crop-rotation system still practiced in the area. Meanwhile, one of the Morays is still being planted by university students as a kind of living laboratory. Tomorrow, we leave Cusco to travel into the Amazon rainforest around Manu to meet researchers looking at clay licks and enjoy being at low altitude in the jungle. Now, where’s the mosquito repellent…? I have only recently found your blog and have to tell you how much I am enjoying your writing and photographs. I did a trip through South America almost 20 years ago and you are bringing back some wonderful memories for me! I really look forward to your posts…….keep it up! !